Follow us or contact us using any of the below links, or fill out the form below. ​Don't forget to sign up for our mailing list! Also Follow our Blog with the RSS Feed or Read it Here. We post a lot of great activities! Thank you for your interest in Stories by Mom Children's Books. 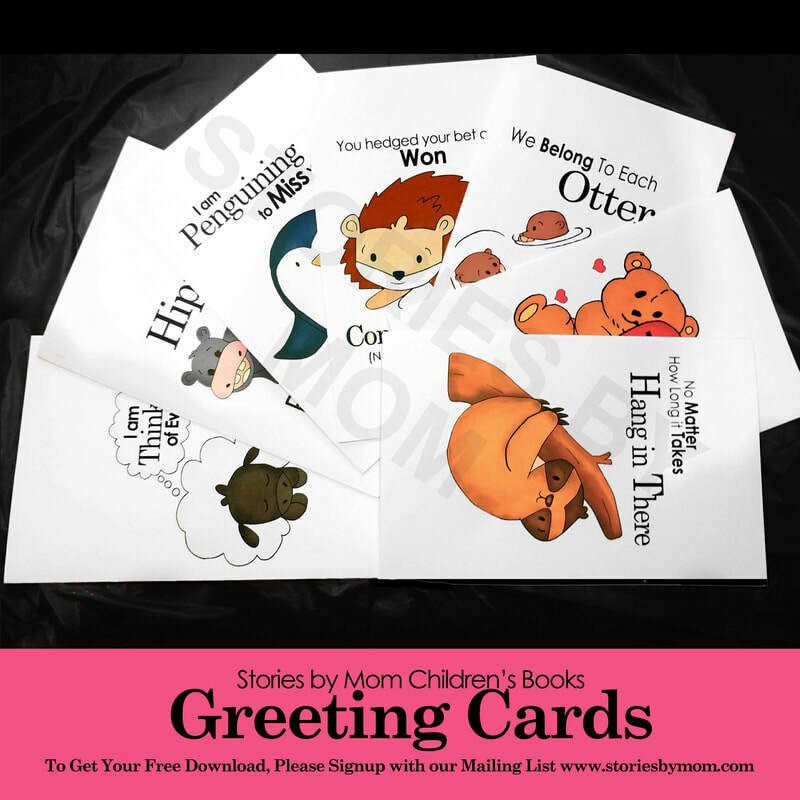 Join our mailing list today to get your free original greeting cards (Half Fold, 5.5"x8.5"). What to Expect: We usually send out a monthly newsletter summarizing our blog posts for the month. We have a variety of posts. We have original illustrations. We have articles, stories, and poems. We have free kid-activities, crafts, and recipes. We have parenting stuff, author stuff. We have stuff on reading, writing, and books. AND of course, Read/Buy our Children’s Books. Let us know what you like and share what you love. We are happy to visit your school (We are in Mesa, AZ). We are happy to visit Book Stores. We are happy to do online interviews, video or typed. We are happy to do guest posts. We love talking about parenting, writing, and illustrating. Let us know if you write your own books, and we can help with a book review or share on social media. Visit our press and events page to see our past events and see more information on our books.